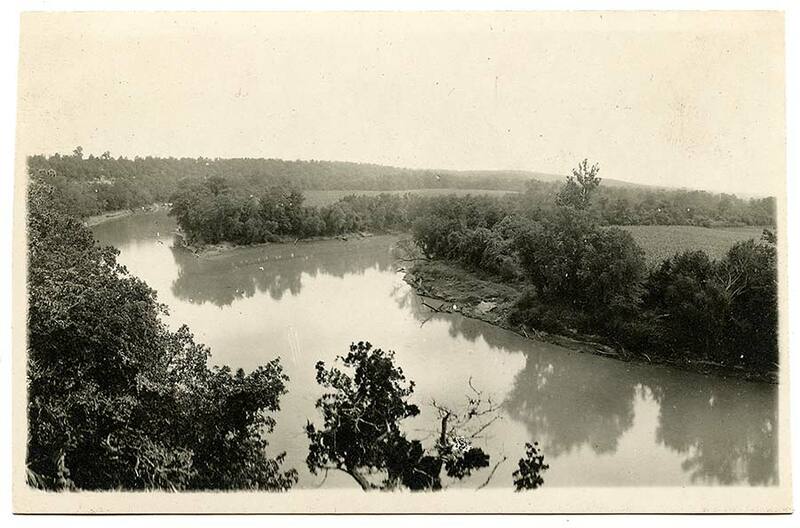 People have been taking pictures of the junction of the Sac and Osage rivers in St. Clair County, Missouri for a long time. Though the scenery along the Osage was not celebrated in oil paintings, locals have always appreciated its pastoral aspects and frequently photographed it. 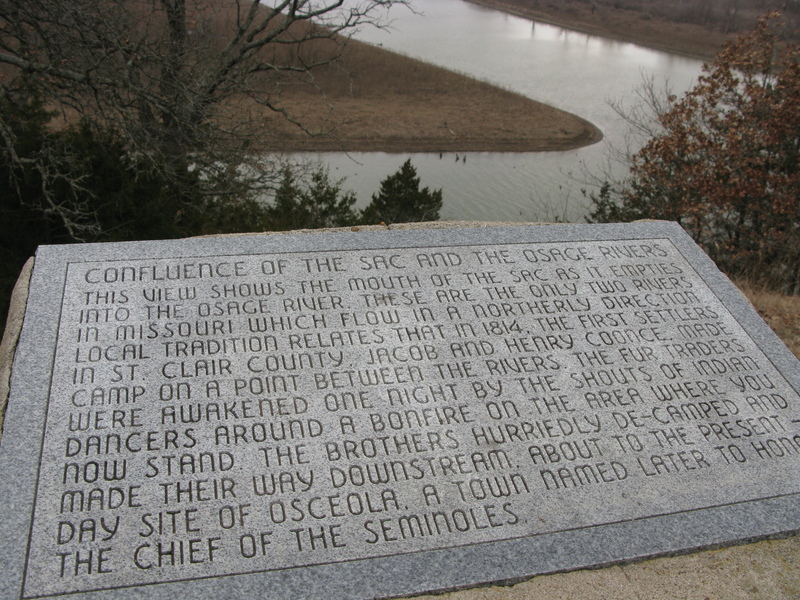 These photographs were taken in March, 2010, from the lookout area on Highway 82, west of Osceola. How grand are thy works, O Master Divine! The Osage and the Sac Rivers vie with each other in their natural beauty. Here their river banks o’er hung with drooping elm or giant sycamore, there long reaches of pebbled, gravelly beach, on and further on great walls of rock and bluff stand boldly forth with the hoar of a thousand ages on their face, and check the waters of the ever flowing streams which bathe their rocky feet as if in conciliation and with peaceful curvette pass onward on the journey to the sea. . . . A coming generation of scenic artists will find, that after the beautiful scenery of Colorado, Utah and the Sierras have been made familiar to the public, they can turn to the hitherto neglected scenery of the Osage and Sac rivers and find gems of surpassing beauty. We noted that it sort of took, but the painters didn’t come. There was no Osage River Valley School of painting. 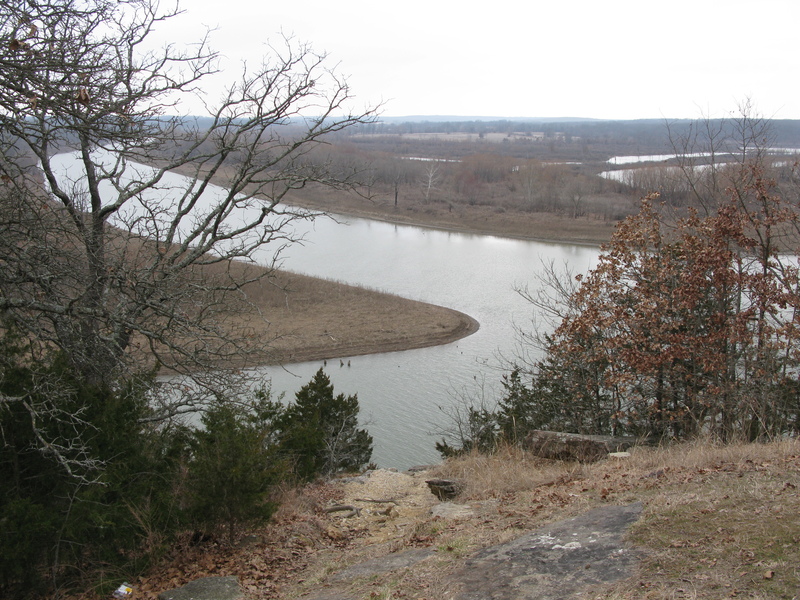 People have been taking pictures from the overlook on Highway 82 above the junction of the Sac and Osage rivers for a long time. 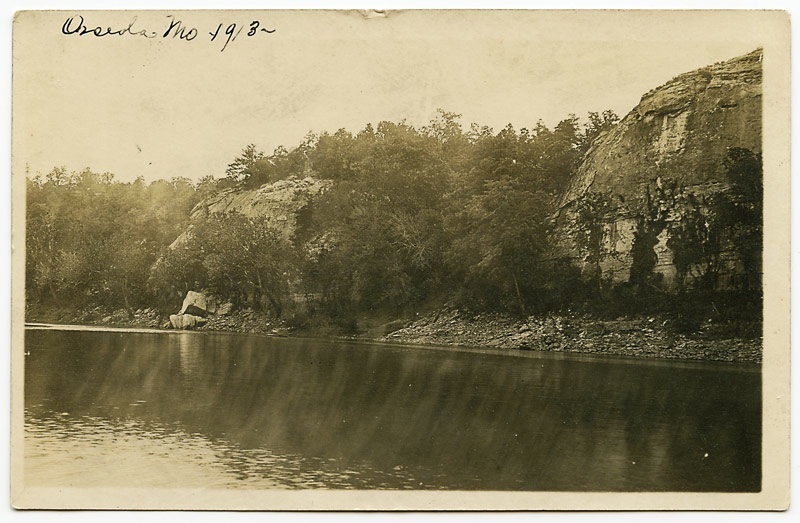 Though the scenery along the Osage was not celebrated in oil paintings, locals have long appreciated its pastoral aspects and frequently photographed it.